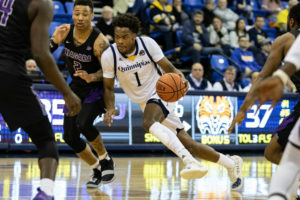 The Quinnipiac men’s basketball team dropped its second close game in a row, as 3-pointers by graduate student guard Cam Young and sophomore guard Rich Kelly came up short in a 75-72 loss to Niagara at the People’s United Center on Saturday. The Bobcats (8-9, 3-3 MAAC) had their chances to tie this one, as Niagara missed six consecutive free throws in the final minute, but were unable to capitalize. The Purple Eagles (9-10, 2-4 MAAC) trailed by two at the half, but shot a blistering 8-for-12 from 3-point range in the second half. Prochet shot 9-for-11 from the field, which included a 6-for-6 start, and scored 15 of his 24 points in the second half. He keyed an early second half push that put the Purple Eagles ahead. Dunleavy adjusted, switching his team’s defense to a 2-3 zone, but the Bobcats still struggled to get stops down the stretch as Niagara stunted multiple Bobcat runs with 3-pointers throughout the half. “[The zone] was just to give them a different look and try take them out of rhythm the best we could,” Dunleavy said. 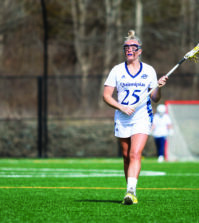 Quinnipiac made a late push on some big shots by Kelly and Young, who led the team in scoring. Kelly finished with 20 points and eight assists, while Young led the Bobcats with 24 points and seven rebounds. “Rich is playing great basketball,” Dunleavy said. 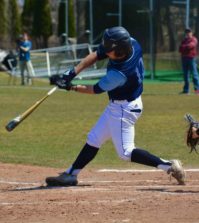 “I think a lot of guys, Cameron Young, really put up good numbers and was efficient offensively. Our team had 16 assists to 10 turnovers. The Bobcats had four starters in double-figures as Tyrese Williams (11 points) and Abdulai Bundu (10 points, eight rebounds) both played key roles on offense. With the eight boards Bundu became just the fourth Bobcat in Division I program history to have 600 career points and 600 career rebounds. A key for the Bobcats going forward will be to get more production out of their bench as senior guard Aaron Robinson, junior guard Travis Atson and freshman guard Tyree Pickron combined to shoot 0-for-12 off the bench. The Bobcats will be on the road next time out as they will travel to Marist to take on the Red Foxes next Friday at 7 p.m.